Cash flow statements are very useful – they may very well be the first place where a farmer will spot a trend in business performance that may benefit or harm the operation in the long run. 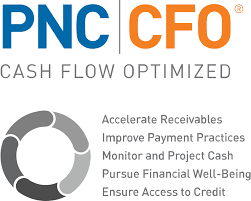 Cash flow statements show the business’s liquidity, the ability to pay expenses as they come due. In accounting, there are both active statements and reflective statements. The cash flow statement, a record of the dollars that came into and went out of the farm, is considered an “active” statement because it is completed multiple times throughout the year. The cash flow statement should be regularly compared to projected cash flow budgets, estimated cash in-flows and out-flows that will occur in the business in an upcoming period. This helps the farm manager to identify how the cash in-flows and out-flows that were expected differed from or mirrored what actually occurred. In comparison to the cash flow statement, the balance sheet and the income statement are “reflective” statements because they are completed on one particular day of the year in which the farm manager is able to see how the business has progressed. With careful management of cash, the farmer has power over his or her business dealings. Business owners and agricultural producers in particular need to take time to document all sources and uses of cash within a business to keep their “finger on the pulse” of their operation. To be effective, farmers should regularly update their cash flow statements. What does “regularly” mean? The answer to this question varies based on whether you have a very seasonal operation (such as selling Christmas trees) or a business that receives cash throughout the year (such as a dairy farm). It is recommended that new financial managers begin with a cash flow statement that has monthly intervals. Although there is a bit of work keeping the statement current, having monthly statements provides an early warning of cash deficits or surpluses. By using the cash flow statement and the cash flow budget the farmer can make well informed management decisions such as when to purchase new equipment, or when to open a line of credit to cover cash deficit periods. After keeping track on a monthly basis for a while, you may find that quarterly or six-month cash flow statements and budgets meet your need because the funds don’t change that much month-to-month. On the other hand, if you grow and direct market fresh vegetables for example, you may need to use a weekly cash flow statement through the summer, because of fluctuations in the variety of produce sold and the demand for each item throughout the growing season. Cash flow statements and budgets can be created for the entire farm operation or for a specific enterprise, or profit center on the farm. For example, a dairy farm might have several enterprises in addition to dairy production, such as custom work, hay sales, and maple syrup production. Analyzing a specific enterprise allows the farm manager to determine whether an enterprise costs more than it generates in revenue. An enterprise budget helps the farm manager determine whether a new enterprise might be feasible. Article adapted from Farm $en$e©, Farm Management Tools for Financial Success. Farm $en$e© farm financial management courses are offered every fall and winter in multiple locations in Pennsylvania. Contact Juliette Enfield or Miguel Saviroff for more information. The Farm $en$e© text will be available for purchase through Penn State Agricultural Publications in November 2016.